Furniture making, practiced as a craft in the twenty-first century, is a decidedly marginal occupation. Yet the view from the periphery can be illuminating. For woodworker Peter Korn, the challenging work of bringing something new and meaningful into the world through one's own volition . 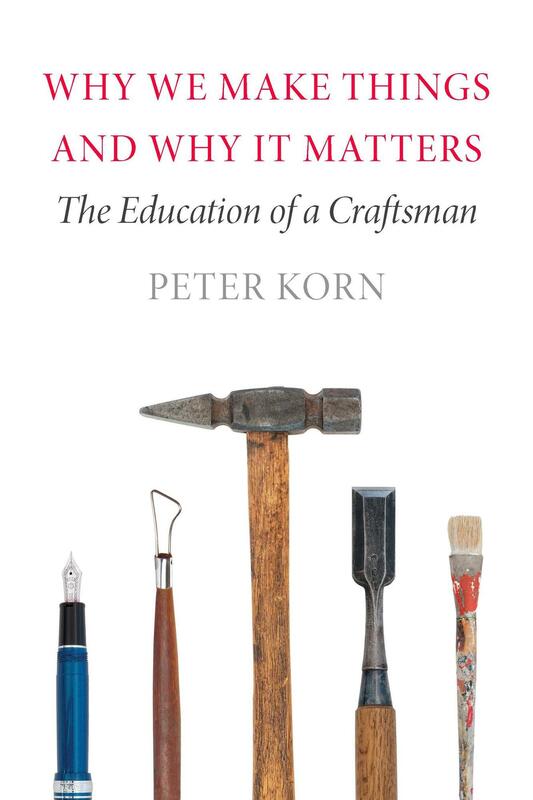 In Why We Make Things and Why It Matters: The Education of a Craftsman, Korn explores the nature and rewards of creative practice. Storey Publishing has been helping readers practice creative self-reliance for 30 years. They are a longtime creative tenant on campus at MASS MoCA and will be hosting a variety of other lifestyle workshops, activities and demonstrations throughout the Solid Sound Festival. David Rees energetically eschews mechanical pencils and electric sharpeners. In his new book, How to Sharpen Pencils, he educates the reader on the satisfying process of hand-sharpening a #2 pencil. Rees presents two pencil sharpening events in the Hudson Valley this weekend - he'll be at Hudson Valley Auctioneers in Beacon on Saturday 5/5 and at Spotty Dog Books and Ale in Hudson on Sunday 5/6. Albany, NY – Sarah LaDuke speaks with Adirondack Folk School's founder, Jim Mandle. The Adirondack Folk School teaches the joy of learning through hands-on Adirondack style crafts and construction. For five days, August 6th through the 10th, Janus Adams will host a Writer’s Retreat in the Catskills. The hands-on workshop intensive is for new and seasoned writers with a work-in-progress. With space limited to 8 attendees, the program affords each participant time to write, read, reflect, share positive criticism, and grow in a supportive environment.